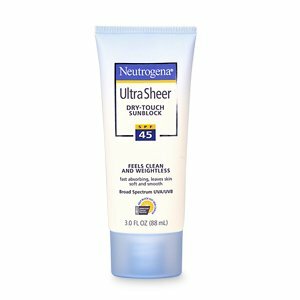 I recently picked up Neutrogena's Ultra Sheer Dry Touch Sunblock after my best friend recommended it. With the temperatures soaring in Bombay and sunscreen being a preventive measure against ageing. After picking it up for Rs 135 MRP -150 from Beauty Center this product lives up to its name. Not only did it not run off like the previous sunscreen I used but was extremely light on my skin. and didn't feel like I had a thick goopy cream on. Would I buy this? For 30 ml 135 isn't that bad and considering just a little needs to be applied I think its definitely worth it.